The Greenhouse is an intentional community seeking to train and mentor those who seek to use their gifts in God's global mission. Through discussion and an interactive format each intern is trained and mentored in mission, gifts, calling, cross cultural dynamics, evangelism and how Christianity relates to all of culture. Each intern will be active in engaging with various local ministries like University, Children, Teen, ESL or Mercy. ​The goal of The Greenhouse is to equip the interns for ministry by helping them understand who they are in Christ. The overflow of this understanding is what fuels ministry and mission. Interns will participate in daily teaching, mentoring and devotional sessions, participate in the established L’viv university ministry and help with a summer English camp in the Carpathian Mountains. Click here to fill out an application for The Greenhouse. The question most often asked is, “What will I be doing in L’viv?” It is often difficult to pin down exactly because of the fact that much of the work will come about only after the ingredients of the individual interns are put in; but, as past participants suggest, come ready to serve. The Greenhouse wants to put focus not upon “doing” ministry, but upon “being” a child of God in Christ. This does not mean that there will not be plenty of activity. University Ministry and ESL: Interns will be helping to make and develop relationships with university students within the already established university ministry of the team. Building Christ-centered relationships is a large part of the summer. Still, applicants will likely learn more about themselves, “who they are”, rather than “what they will do.” This means the intern should expect to be challenged to learn, grow, develop, and mature as much, if not more, than they should expect to “do”. Mountain English Camp: The interns will take part in the planning and execution of the Mountain English Camp set in the Carpathian Mountains. The camp will host approximately 60 Ukrainian university students who are eager for interaction about language, Bible, sports, hobbies and crafts. The relationships made at the camp will make up a large part of the interns follow up strategy after the camp. The interns’ main task is to serve, learn and be teachable. This will happen in the context of daily, morning devotion, class time teaching as well as afternoon cultural events. 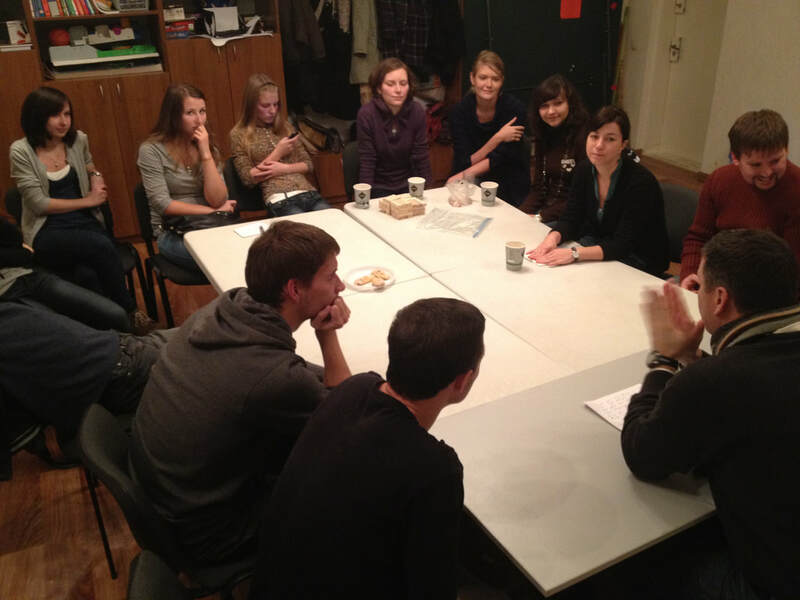 The intern will also spend a substantial amount of time with English speaking Ukrainian university students. This allows the Americans to move and work in the culture despite the language barrier and to get a first hand experience with Ukrainian life. The Greenhouse is looking for teachable, mature people with leadership ability who have an interest in foreign ministry, who are up for intense training, and who have an adventuresome attitude for two months. You must have completed at least two years of university or be 20 years of age. What are the living arrangements for the interns? Interns will live with other interns in their own apartments. These apartments will be secure and have water and electricity. Interns should expect to work on a close team of 8-14 Americans. What are the dates of The Greenhouse Internship? A visa is not required for travel to Ukraine. The following immunizations are recommended for Ukraine: Hepatitis A, Hepatitis B, and a current Tetanus. Please check with the CDC and your doctor about other immunizations that they would recommend. Doug Shepherd, the Greenhouse director, talks about his call to missions in Ukraine. Here are some common asked questions asked about life and work in L'viv. The main barriers that keep most people from engaging in cross-cultural work are raising finances, language and proximity to family. See "overcoming main barriers" below to address these issues. What if I am not good at languages? ​If your not good at languages you probably mean "taking a language" like in high school or college. There are many different ways of learning a language and we should use many methods rather than only thinking of one book in a classroom setting. You have already learned one language and you did ok learning that one. There are people who are gifted with languages and then there are the rest of us who must work hard but also smart. Team Lviv seeks to work out a personal and reasonable language aquisition strategy for each team member that employs multiple methods. Language learning is still hard and takes time but it should never be boring or disconnected from the people and culture. The reason we are seeking to learn language is to know Ukrainians and their culture better. You might not be fluent in a year but you will know people and the culture better as you aquire the language. Each person learns at their rate and does not allow langauge to be the excuse that keeps us from serving Ukrainians. The short answer is YES, it is safe to travel to L’viv. ​If you are looking for a longer answer: Right now, the country of Ukraine is fighting a border war with Russia in the far eastern part of the country. This is tragic for the nation as a whole, HOWEVER it has not impacted safety in L’viv or made travel more dangerous. The conflict is fairly limited to a small part of the country nearly 850 miles from the city. (For perspective, Texas is 660 miles wide, while the conflict in eastern Ukraine is 850 miles from L’viv.) Outside of this area, life and travel is perfectly safe, although travel always requires wisdom, as does day-to-day life in an urban environment. Our entire team feels that the region and specifically the city of L’viv is safe not only for us (a team consisting of a single woman and six families with a dozen children between the ages of 0 and 13), but also for any travelers and interns. Moreover, during the past 20 years, we have worked with over 100 short-term interns, and we consider it a privilege to get to know each and every one of them. Rest assured that we take the care and oversight of our interns seriously, and are committed to ensuring their safety throughout their time in Ukraine. If you still have questions about safety or about life in L’viv, please feel free to contact Doug Shepherd. 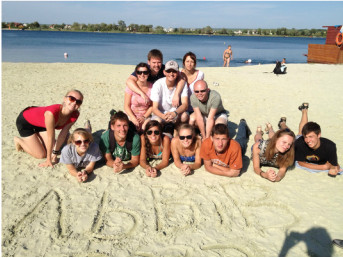 Thank you for considering serving with us in L’viv! ​​There is not a "normal" day and answering this would depend on many variables. ​What is daily life like? How to overcome MAIN BARRIERS? 1). Never getting here due to fear of language and raising support. This is overcome by seeing that these are real challenges but flimsy when weighed against God's call to his mission. ​​WHAT IS THE MEDICAL CARE LIKE? ​The first line of defense is our own doctors online who have made themselves available for any questions. Most drugs can be bought without a prescription. In the city there are specialists in the cities multiple hospitals. There is also a private clinic (24 hour) on the edge of town. In case there is an extraordinary medical problem there is an evacuation service/insurance that each team member is enrolled in. The point of service would then be Vienna, Austria.